GoUrl Cryptocoin Gateway is an open source crypto payment system. You are free to modify it and add new functionality - create new scripts, software, plugins/add-ons for Wordpress, Drupal, Joomla, etc with GoUrl Cryptocoin Gateway. 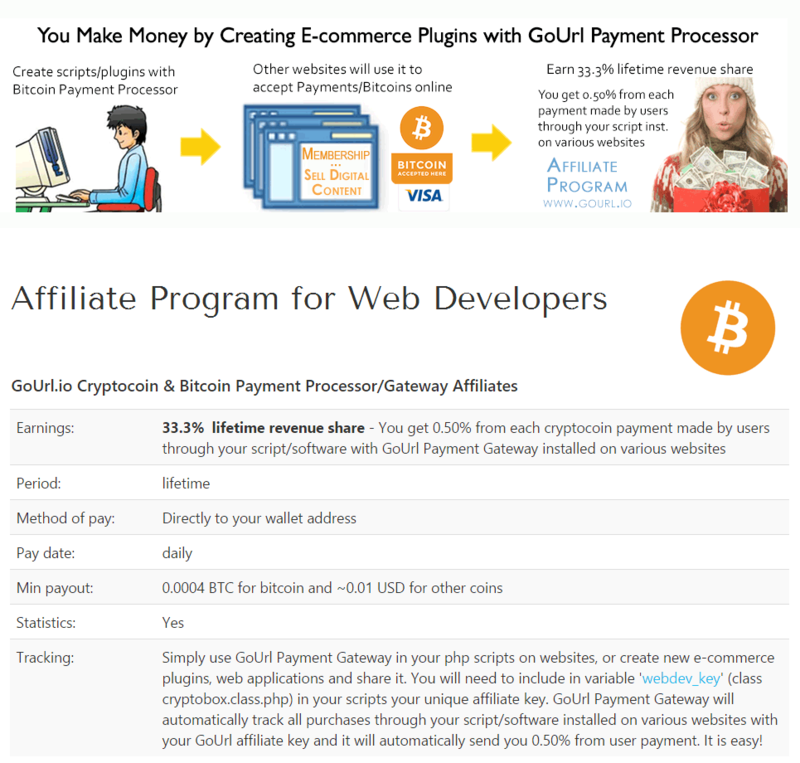 Our affiliate program is Free to join and we offer lifetime cryptocoin/bitcoin commissions to Web Developers and Web Designers - 0.50% commission from all cryptocoin payments (bitcoin, litecoin, dogecoin, reddcoin, etc) which will be made through your plugin/software with GoUrl Cryptocoin/Bitcoin Payment Gateway. In each of your script/plugin with GoUrl Cryptocoin Gateway simply include your unique GoUrl affiliate key [nofollow] and use it in your clients projects or promote your scripts/plugins on the Internet. Our payment server automatically tracks all affiliate keys and will automatically send you 0.50% commission from all cryptocoin payments which will be made through your script with your affiliate key. 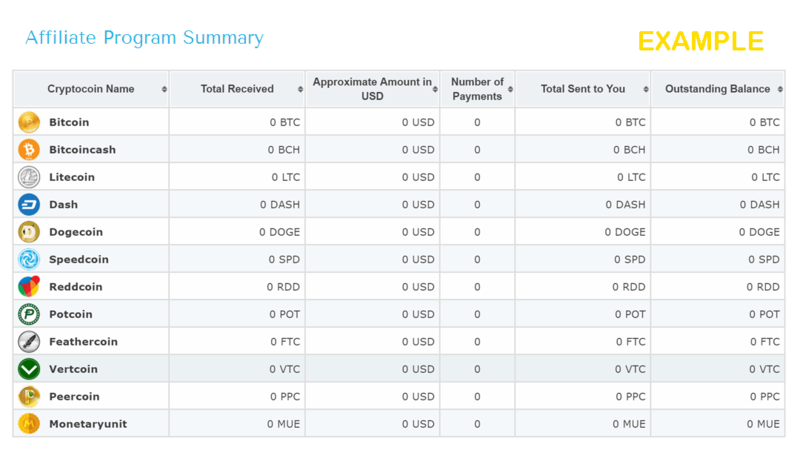 (your script/s can be used on many websites and you will automatically receive commission from each crypto payment received by all those sites).